During busy seasons of life, spending time with God can be forgotten and easily pushed aside. 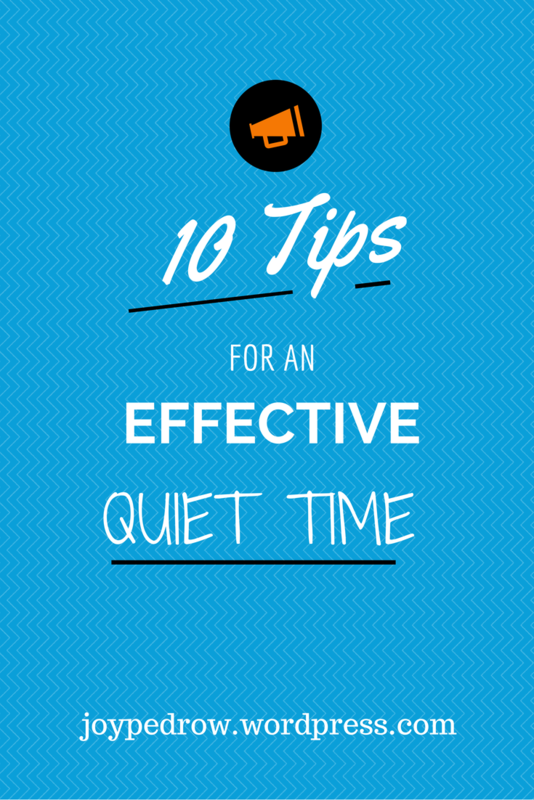 Here are 10 ways to help you have a more effective quiet time. Find your spot. Find a quiet spot, or a spot where you can focus. Only bring what you need. Bring your Bible, journal, pen, and maybe a devotional book. Leave your computer at home because it can easily become a distraction. Plan. Plan it into your schedule. Set a specific time and length each day. Start with prayer. Ask God to give you wisdom to understand the scripture you read, and to help you focus on him. Praise God. Worship God for who he is. Thank God. Thank God for who he is and what he has done. Confess your sins. Ask God to reveal any sins that are hurting your relationship with him. Write things down. Write out your prayers and answered prayers. You can look back and see how God was faithful. « Do you value Jesus because He is useful or because He is beautiful?